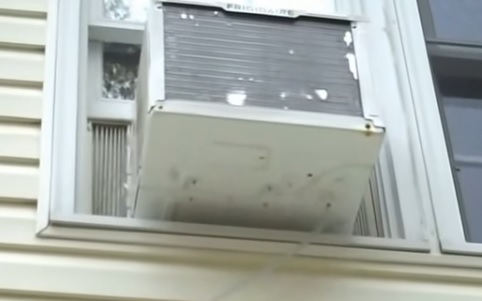 Window mounted air conditioners are very useful and versatile units but can have issues sometimes. One of these issues is water leaking into a home in most cases it needs to be setup to drain better. 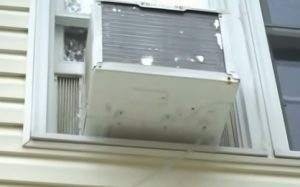 A Window A/C unit should be level and some people have it lean slightly away from a house so the water drains away better. 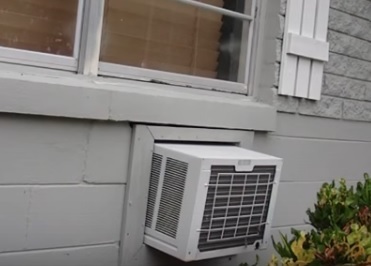 This can be beneficial, especially in a big rain storm when lots of water has a problem draining from the outer case quickly enough. Sealing the outer case were it meets the wall is important and can e done in a variety of ways with most using outdoor calking. The inside of the outer case must drain well or water can backup and enter a home. All units will have some type of drain plug that may simply be clogged and need cleaned to drain properly. If you live in a very rainy environment extra holes can be drilled in to the bottom of the outer case to help water flow out. If holes are drilled into a unit be very careful of the internal components as damaging any internal components will make the unit unusable. If extra drain holes are drilled into the case it is best to go at a angle as to not drill into any components or refrigeration lines. Most often simply cleaning the unit from any debris as regular maintenance should be enough and new holes only needed in extreme cases. Since all units are different sometimes the drain can be located in the wrong spot for a install in which case a new hole would be necessary. There are also small attachments that create a roof over a unit which shield it from extreme rain which also work well in many situations. Every install can vary since the many window A/C units available and how a home window is built all must be taken into consideration. Good sealant, bigger drain holes, and possibly a small roof for a unit are all options. 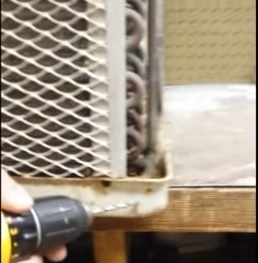 Proper maintenance is also a big factor to help an A/C unit drain proper and run smooth and quiet.